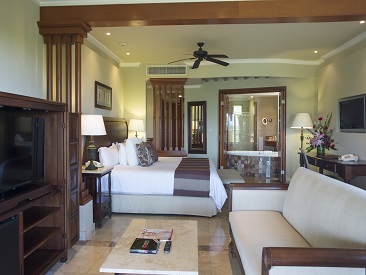 Valentin Imperial Riviera Maya is an all-inclusive, adults-only (18+) resort in beautiful Riviera Maya. Perfect for couples and friends, this resort offers a wealth of amenities, services and activities in relaxing, culturally rich Mexico. Guests will enjoy luxurious accommodations, long days full of land and water activities, pampering spa services, exquisite dining choices and wonderful daytime and evening entertainment, all while lounging on white-sand shores. Experience the renowned hospitality of Mexico at the all-inclusive Valentin Imperial Riviera Maya. This full-service, all-suite, adults only (18+) resort is richly decorated with authentic colonial accents and is situated on a half-mile expanse of gorgeous white-sand beach in Playa del Secreto. An excellent choice for couples and friends, the Valentin Imperial Riviera Maya offers a wealth of amenities, services and activities in the relaxing and culturally rich atmosphere of the Riviera Maya. Guests will enjoy luxurious accommodations, long days full of land and water activities, pampering spa services, exquisite dining choices and wonderful day and evening entertainment. 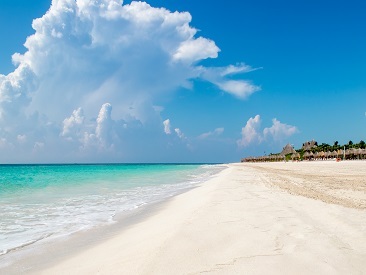 Just 25 minutes from Cancun's International Airport, Valentin Imperial Riviera Maya sits on a half-mile-long stretch of white sand beach of Playa Del Secreto (The Secret Beach) in the Riviera Maya. 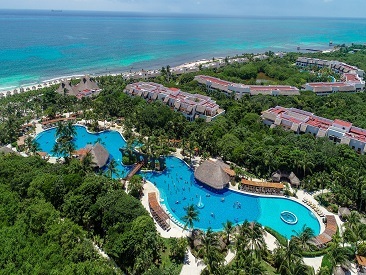 This all-inclusive, adults-only resort not only gives you direct access to the beach, but also places you just minutes from the vibrant culture of Cancun and the world famous Mayan archaeological sites such as Tulum, Coba, and Chichen Itza, while totally secluded from the hustle and bustle. The 'Valentin Privilege' package is the answer for those guests who desire the ultimate pampering. The distinctive personalized services that shape the 'Valentine Privilege' package are available at an additional cost and can be added to your reservation as an add on, when reserving a Deluxe Junior Suite or higher (for a minimum of 3 nights). The Valentin Imperial Riviera Maya is an IGLTA (International Gay and Lesbian Travel Association) (or TAG) approved hotel. The hotel is certified as gay-friendly and has completed employee sensitivity training and has agreed to a list of non-discriminatory and welcoming policies. Valentin Imperial Riviera Maya Hotel & Spa is committed to preserve the environment by reducing the consumption of natural resources, promoting among our guests and staff, protection and respect for the environment through good environmental practices.